Dear friends, I am truly humbled to be included as a finalist in the 2015 IACP Digital Media Awards for Best Narrative Culinary Blog. What a great privilege and honor to be recognized amongst such amazing, talented individuals. Thank you all from the bottom of my heart (and pot!) for all your kind words, support and encouragement. It means the world to me. Go Tahdig! We have a globe. Of the light-up variety. Of the round variety. Because the world is round, Mama. It’s the truth, Mama. It’s the kind the girls love to spin and spin, and then randomly bring to a sudden stop. Mother Earth graciously, patiently, holding still as their little fingers gently but methodically trace a path through her every field and valley, across mountain ranges and tundra, seas, lakes and oceans. All in a matter of seconds. As fast as the speed, Mama. It’s called the speed of light, Luna. Is that faster than the speed of infinity, Mama? Explorers on an expedition. Little fingers claiming birth places, lived-in places, want-to-visit places, random, exotic, mysterious places. When you are five and eight years old, the globe holds an immeasurable, magical sense of mystery and respect. Whether your globe lights up or not. Shio koji literally translates to sea salt and koji. Koji is rice or soybeans that has been inoculated with a culture called Aspergillus oryzae. The same culture/mold can be found in soy sauce, miso and sake. 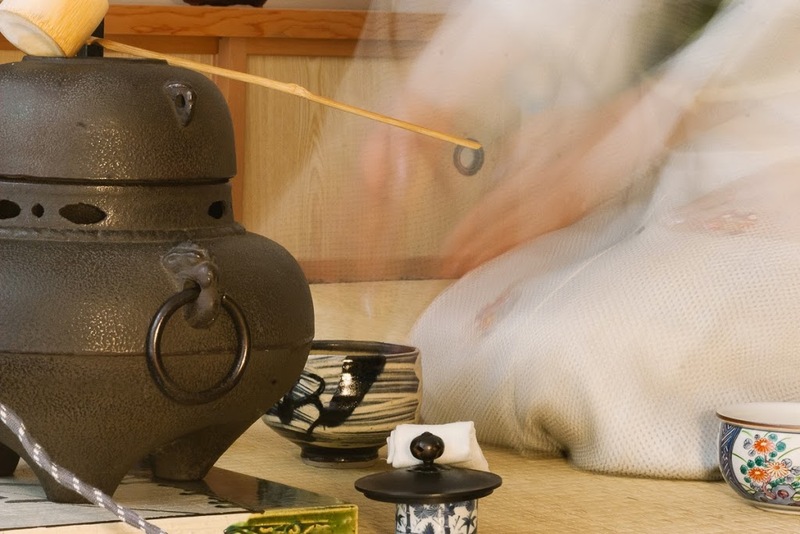 The popularity of shio koji exploded in Japan about five years ago. 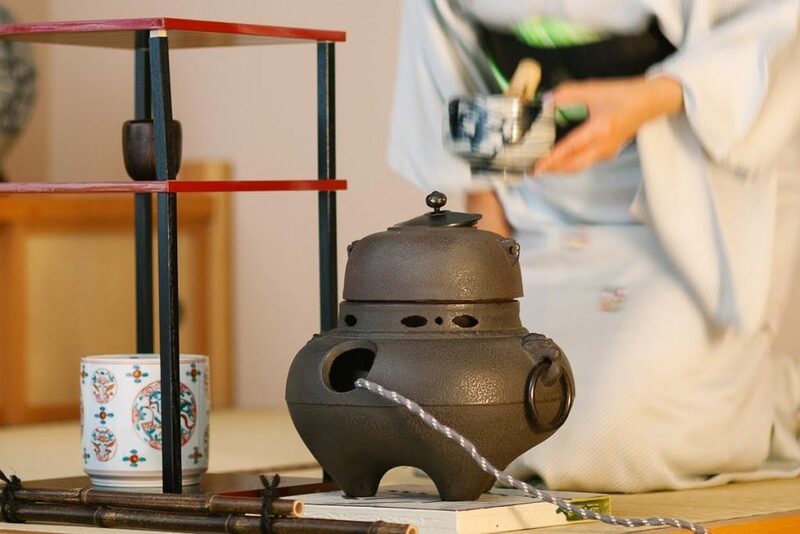 But it is deeply rooted in the Japanese traditions of food and fermentation that are thousands of years old. And it has happily found its way into my kitchen. I have my Japanese step-mother Kumi to thank for introducing me not only to this flavorful ingredient, but to the many beauties and majesties of Japanese culture. Little fingers search and search but are unable to trace its history back through the rice fields of Gilan. No verses of poetry to compare it to zaferan, talayeh sorkheh Khorasan – the prized flaming, golden saffron from Khorasan. 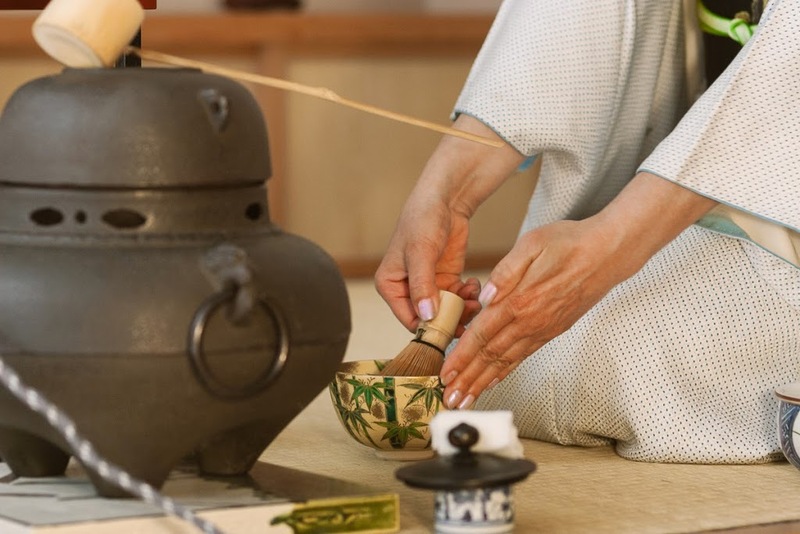 No documented mentions of world-wise and travel-weary merchants along the silk road expounding on its powers of umami as they whetted their palates on the cha’i from Laheejan. As they bit into the chewy, fragrant, and sweet gaz from Esfahan, nesfeh jahan. Half the world, in Esfahan. To prepare shio koji, rice koji, sea salt, and water are combined and left to ferment for about seven days. 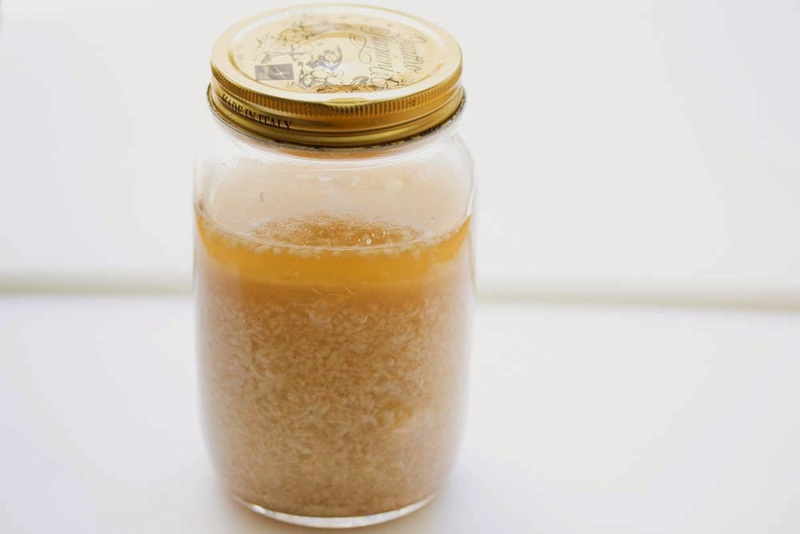 After fermentation the shio koji is stored in the fridge and used as a salt replacement in various sauces, vinaigrettes, dressing for vegetables, and particularly delicious when used in marinades. 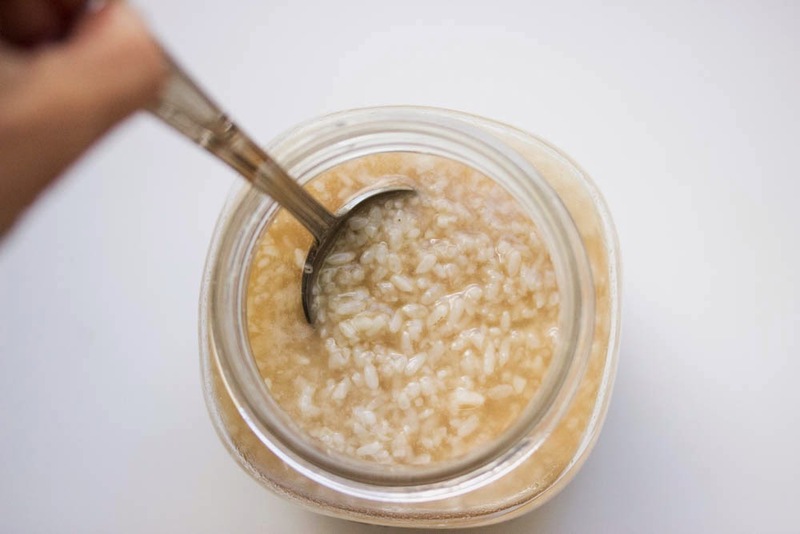 Kumi uses her shio koji in just about everything – like adding a small amount to her morning oatmeal. Shio koji delivers an incredible umami punch in the same way that anchovies, tomato paste and kashk do. And since it is a fermented food you can benefit from its naturally occurring pro-biotics. Shio koji can be purchased already prepared in a paste form from Japanese supermarkets (I have not seen it yet at any other markets – please leave a comment below if you have) or online. But it is very simple and much less costly to prepare at home. And preparing it at home satisfies my appreciation for the simplicity, and magical mystery of fermentation. I follow Kumi’s instructions when making shio koji. You need rice koji, fine grain sea salt (I’ve been emphatically told it has to be sea salt – no table salt please! ), a jar, and time to ferment. Rice koji can be found online, and here, and at Japanese grocery stores. Kumi has given me the measurements by metric weight as it is most accurate, so I highly recommend using a scale when measuring out the ingredients. The measurements below are for a 1 liter glass jar. You can also easily halve this recipe. 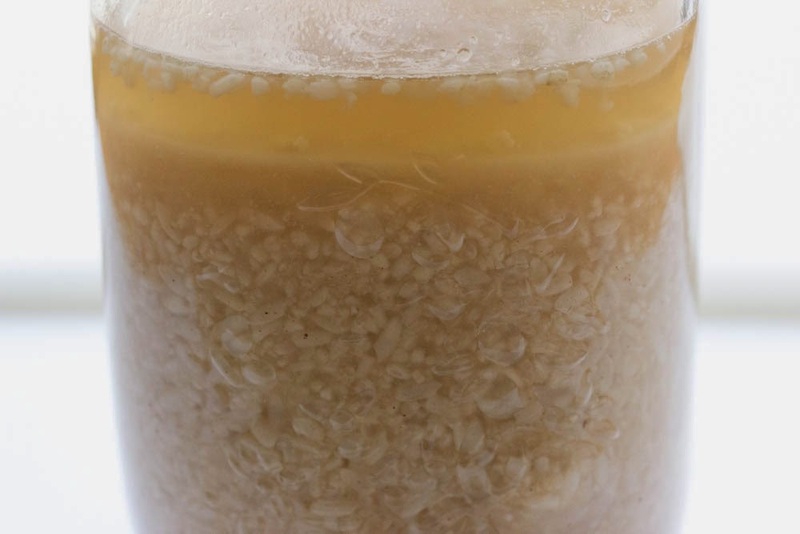 Any left over rice koji can be stored in the freezer for up to 6 months. 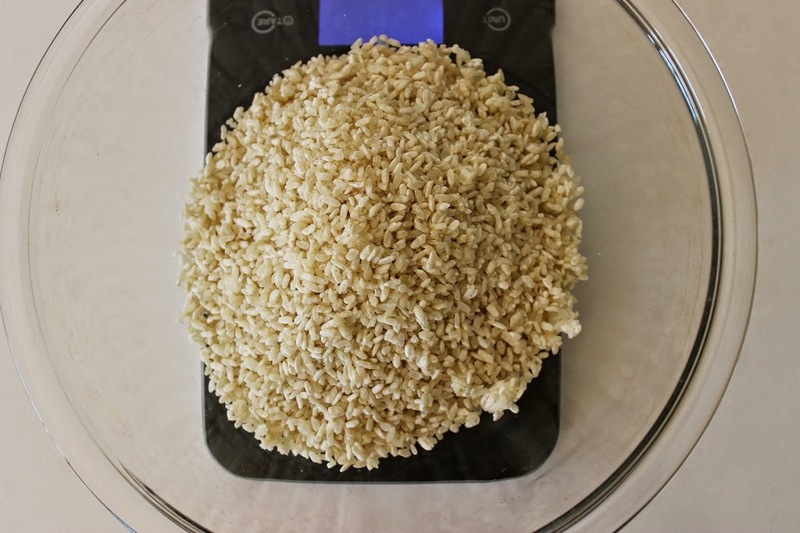 Place 400 grams rice koji in a bowl. 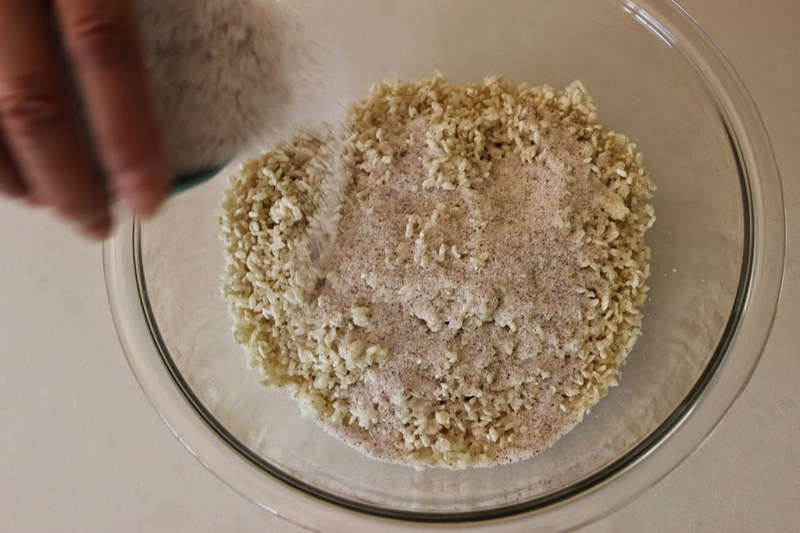 Break up any clumped up pieces of rice. Add anywhere between 140-160 grams of fine grain sea salt to the rice. 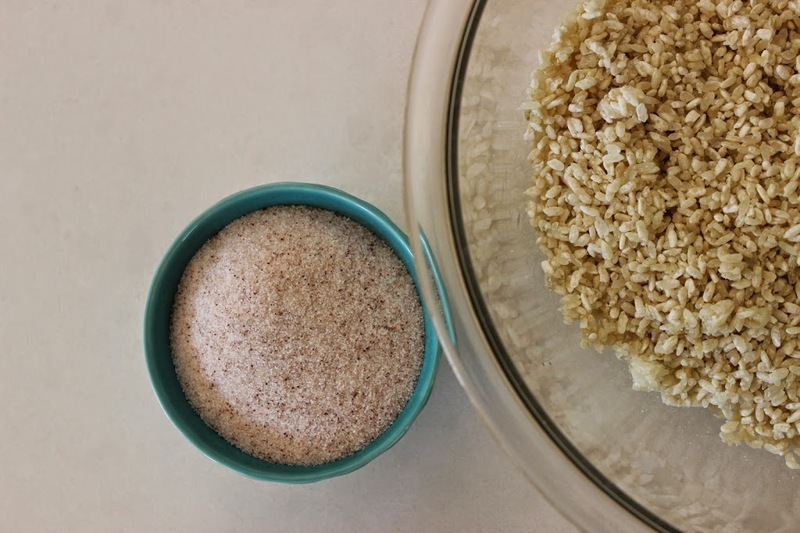 Combine the sea salt and the rice koji by kneading the two ingredients by hand for about 5 minutes. During this process the rice koji and sea salt will start to come together. As you knead, you should be able to form a clump in your hands like loose pie dough coming together. During this process you should also be able to smell a slight malty aroma, similar to soy sauce. 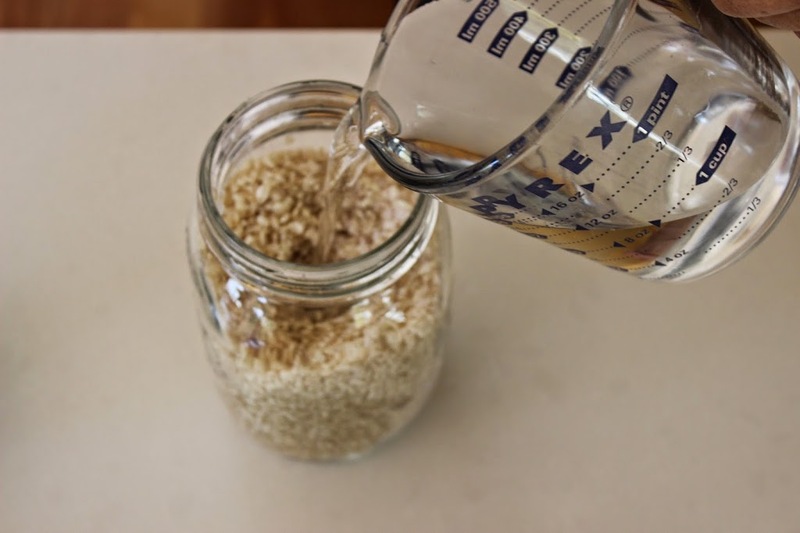 Using a spoon, transfer the rice koji/sea salt to a sterilized 1 liter glass jar and add 500ml water. Make sure there is enough water to fully cover the surface of the koji. Place the cap on the jar and store at room temperature to ferment for 7-10 days. The length of fermentation depends on room temperature. It is important to stir the shio koji once a day by lifting the rice up and over from the bottom of the jar. 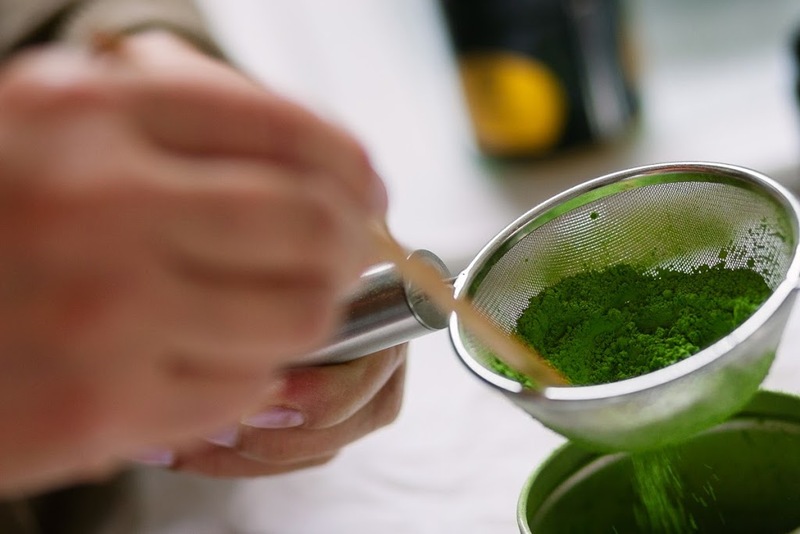 This method of stirring allows for oxygen to circulate. By days 7-10 the rice granules should be softened and there should be a distinct fermented and malty aroma. This is how you know the shio koji is ready and has reached full flavor. You can taste the shio koji. The rice granules should have softened. It might taste rather salty but don’t panic; this will temper over time. At this point you can place the shio koji in a food processor and process to a smooth paste. Kumi doesn’t process her shio koji, but I sometimes prefer it smooth. Store the shio koji in the fridge and use as needed. It will keep in the fridge for up to 6 months. Generally, when using shio koji as a salt substitute you can use 2 teaspoons of shio koji for 1 teaspoon of salt. When using as a marinade the general rule of thumb is the ratio 10:1. For every 100 grams of food use 10 grams of shio koji. 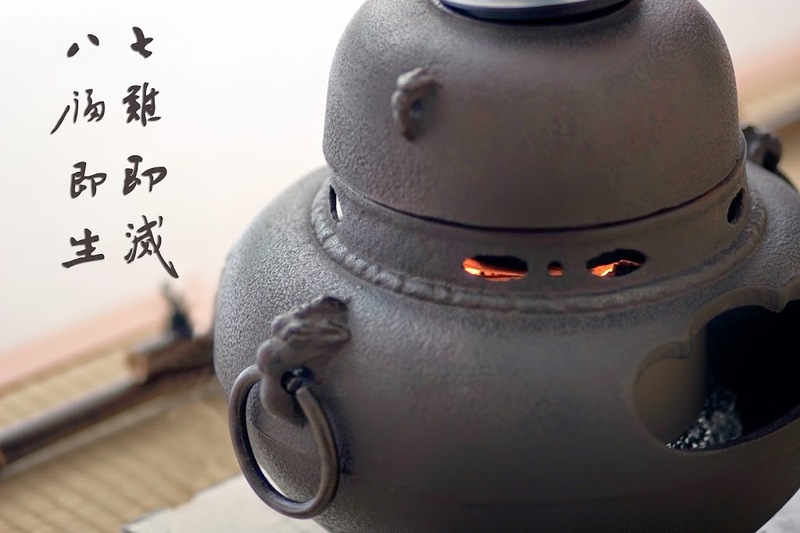 Also, take note that shio koji can burn at very high temperatures. So stick to moderate heat. “Nana korobi ya oki” “Fall Down Seven Times, Stand Up Eight.” Japanese proverb. Little fingers traced and searched but couldn’t find the bridge connecting the shio koji to their mother’s birth place. Alas, all well mapped out and thought through expeditions must eventually come to an end. Make their way back home. For rest. For provisions. For a hug. And just like that little fingers lift off the globe, bid Mother Earth adieu with a dizzying final spin, and fly towards the kitchen. Crashing into the arms, warmth and comforts of their Mama. Recounting harrowing tales of their journeys. At the speed of infinity. All the while keeping a close eye on their Mama as she reaches in the fridge for Grandma Kumi’s shio koji with one hand while stretching her other arm towards the spice cupboard for the zaferan, talayeh sorkheh Khorasan. A bridge. A path. A connection. A most umami packed, golden roast chicken. You can easily halve this recipe if you want to make less shio koji. 1- Place rice koji in a medium bowl. 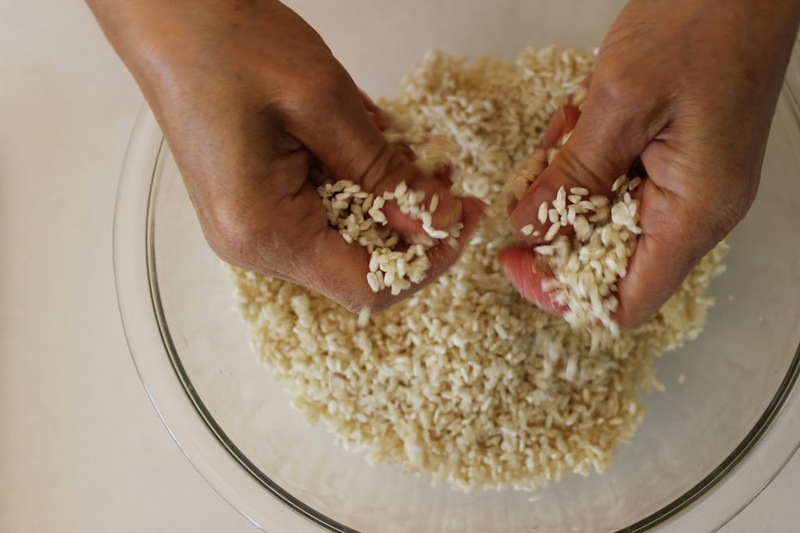 Break up any clumps of rice with fingers. Add salt. Combine salt and rice koji by kneading together by hand. Knead for about 5 minutes until it starts to come together in your hands like loose pie dough. Spoon into a sterilized 1 liter glass jar. Add water to completely cover. Place cap on jar and allow to ferment at room temperature for 7-1o days. It is very important to stir the shio koji once a day as it ferments. 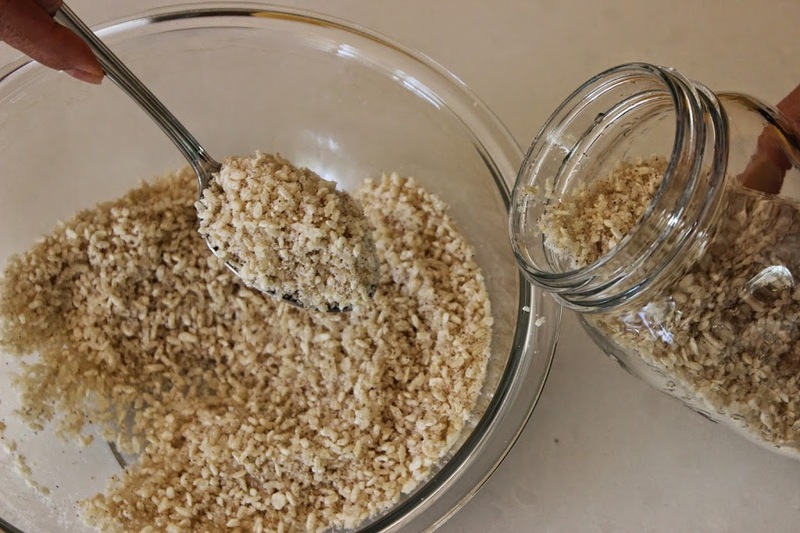 Stir with a clean spoon by lifting the koji from the bottom of the jar up and over. By days 7-10 the rice should have softened and there should be a distinct malty fermented smell. You can taste the shio koji to test. Once it has fully fermented you can place in a food processor and process into a paste. Spoon the shio koji paste back into the jar and store in the fridge. Use as needed. Shio koji will keep in the fridge for up to 6 months.